Very few players in the history of football can be regarded as one of the best. And Aly Borromeo is one of them. He is considered as one of the most important names in the history of Philippine football. If Messi is regarded as Barcelona's all-time top football scorer, then Borromeo is his Philippine counterpart. 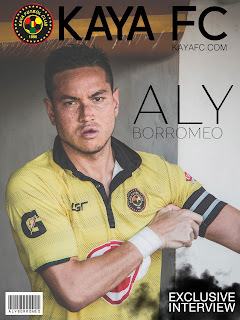 Alexander Charles Luis "Aly" Borromeo is an American- born Filipino footballer for Kaya. He and his mom moved to the Philippines just over a week after he was born. He is a long-time captain of the Philippines national team. Previously a goalkeetper, he has since become a utility player, playing as a central midfielder or center forward for his club and mainly as a central defender for the national team. Prior to being a central defender, Aly had played different positions throughout his career. He started as a goalkeeper, then played as a forward in the 2004 Tiger Cup and, finally, settled in the center back position in 2005. Borromeo first represented the Philippines at under-19 level during the 2000 AFC Youth Championship qualifiers and was also a goalkeeper at that time. 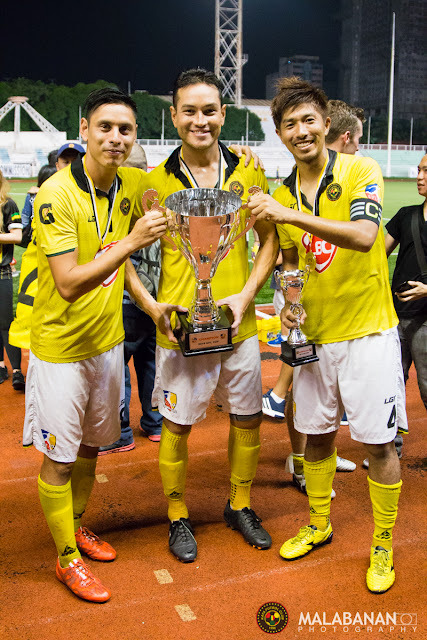 Four years later, Borromeo would make his full international debut playing in all four matches in the 2004 Tiger Cup. This time he was playing as a striker and he assisted both goals by Emelio Caligdong, to give the Philippines their first ever win in the competition, defeating Timor-Leste 2–1. He is the current manager of the Newington 9th eleven. If there’s anything noticeable about Aly, it’s his athleticism and healthy lifestyle. gymnastics was his first sport, and while it would be difficult to imagine him doing all of the swinging, tumbling, and parkourlike stunts now, it prepared him for the beautiful game of football. He played practically every sport he came across. He interestedly tried each one, and football ultimately won in the end. “Basketball helped with my footwork, tennis with my coordination, and golf with my patience. Yes, they helped me a lot. I stopped playing golf because I was getting impatient. I used to play, with my dad, nine holes after school until it became seven holes, four holes, two holes … you need a mental game for that, but that helped me a lot too with football,” explained Aly. 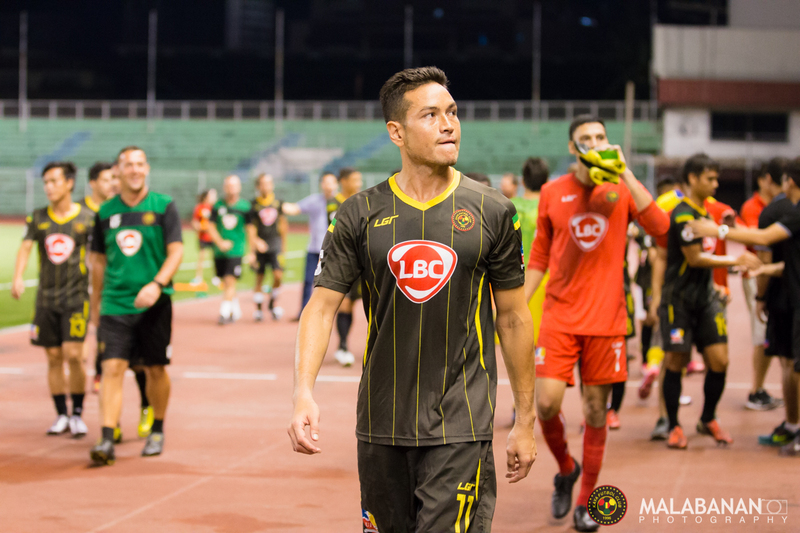 “I was five years old, and my mom enrolled me at Tomas Lozano’s Makati Football School [MFS]. I studied gymnastics for a year before that,” recalled Aly. While MFS introduced the sport to Aly, he grew up at Kaya, where he turned into one of the finest players to don the club’s colors. There was no Kaya FC Academy back then——so MFS was the only choice, and it started from there. Being the captain of the Azkals undeniably launched and defined his career, but it is also a role that he truly and equally cherishes at Kaya. We see the same Azkals captain at the club. The way he walks, talks, and conducts himself make others soldier on or fight alongside him. Aly Borromeo has bucked the challenge of knee surgeries and doubts about his playing future to come out stronger as he leads this young Kaya team into their first foray into the AFC Cup. Borromeo joined Kaya in 1999, and has been the captain of the first team for several years during his tenure. He went on a loan to Global during the 2010–11 season and led the club to be the champions of the 2010 UFL Cup during that season. On October 15, 2011, in his first match for Kaya Futbol Club during the 2011 UFL Cup against Diliman, Borromeo incurred an ACL injury, which sidelined him for the club and the national team. After almost seven months, he made his return for the 2012 League season on May 12, 2012 as a substitute against Loyola Meralco Sparks, which ended a 2–2 draw. In the following match against Global F.C. on May 16, 2012, he scored an equalizer in second half injury time to end in a 1–1 draw. He was dropped in the Kaya lineup for the 2012–13 season due to a meniscus injury, in which he acquired while training for the national team in mid-2012. In the tournament, Aly, who played as a forward, played together with our very own Chris Greatwich and former Kaya players Anton del Rosario and Kale Alvarez. He has also represented the Philippines at under-23 level. He captained the Philippines under-23 team during the 2005 Southeast Asian Games on home soil and was converted to a central defender.] He also scored in the 4–2 win against Cambodia. However, the Philippines failed to progress to the knockout stage. Even though Aly has been Kaya’s longtime captain, being the captain of the Philippine national football team (Azkals) after the 2010 ASEAN Football Federation (AFF) Suzuki Cup is the title that stuck with the public. And even if he didn’t break Bagets Pinero’s nose several years ago, Aly thinks he would still have been the captain of the Azkals sooner or later. Accepting the armband is an honor that he would always accept with alacrity. For Aly, his proudest moment on the field remains the win against Vietnam because “it changed the face of Philippine football.” He believes that, while the current squad is fulfilling its potential, there are some areas that need improvement. 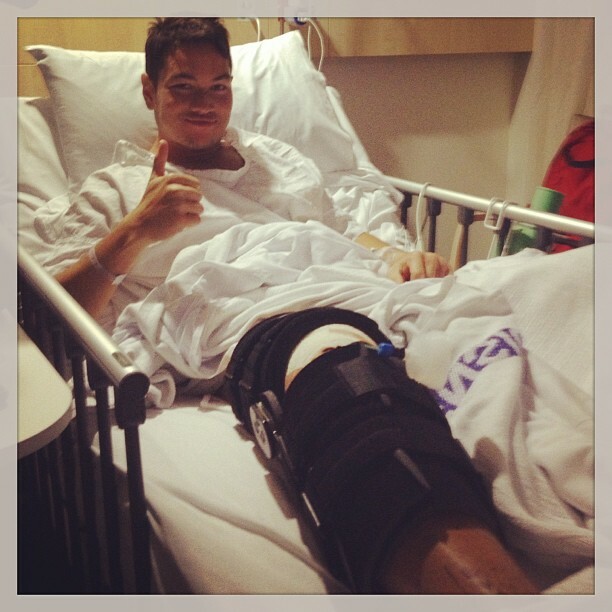 In May 2014, Aly played his first game since his injury against Stallion, but a series of unfortunate footballing events plagued Kaya, from injuries (not his this time) to fortuitous incidents. We can’t deny the dips and lows that followed since his return, but at the same time, it has been a fulfilling and uplifting professional and personal experience for the team, especially for Aly, who finally won a trophy with Kaya after six years. He played for Kaya at the 2016 AFC Cup and was a starter and captain for the team's first match against Hong Kong sides, Kitchee. He’s no stranger to leading the national team in an international competition, yet Aly admitted that the feeling is different when he is playing for Kaya in such setting. “For a while I had to scratch myself, I thought it was the Azkals but I looked back and we’re wearing the yellow jersey and I said, this is Kaya. “This is my badge, this is my team and it’s what I’ve been representing for the past 16 years, so it’s a totally different experience. Phrases like “leading by example” and words like “perseverance” are used often, but through Aly’s journey, we learn that he has actually made these words relevant to everyday life. No matter what we are going through or will experience, we can think of how setbacks or failures are necessary and valuable parts of life. Sometimes we need ups and downs to remind us that we are breathing, living, and aspiring to be extraordinary. He has redefined professionalism and leadership with his comeback, and his commitment to the team is an example to everyone in football. Sometimes when things are falling apart, they might actually be falling into place. “It all boils down to the resiliency of the team. We showed in the UFL Cup last year that we fought all the way until the end. We weren’t the most gifted team, but individually we worked together, we played as a unit, and I think it showed tonight as well,” he said. KAYA’s faces Group F leaders Balestier Khalsa on March 15, with the AFC Cup match taking place at the Rizal Memorial Stadium once again. The Singapore side will be arriving fresh from a shock victory over Hong Kong giants Kitchee. Tickets are handled by MaC2 Group Manila, and will be available at the venue on match day. KAYA FC is proudly supported by LBC.